Indie author Todd Shryock has been writing and editing for over 20 years. He recently told me a little about his book and experience as an author. The Fly Guild is about perseverance. The general idea is looking at what happens to good people when they are continually put in bad situations. The main character, Quinton, is an orphan in a fantasy city where there is no social safety net. He ends up in a brutal gang where part of his daily routine is stealing and doing the gang’s bidding. His reward is usually nothing more than he gets to live another day. He’s a good kid at heart, but is in a very difficult situation. I thought it would be an interesting story to follow him as he tries to do the right thing, often with unintended bad consequences. In the end, he spends his time trying to escape the madness of the city and the brutality of the gang. I’ve had the idea of a story based on this theme for some time, but with the rise of e-publishing, I thought the time was right to jump in and get it done. The book launched in August of this year, and sales have been steadily building. I won’t be quitting my day job anytime soon, but being an independent author is challenging. It takes a very long time to build a reputation and a following. I’m happy with the current pace. 3. You have not chosen to go with traditional publishers. Why? I tried to go that route many years ago. I got some “close” or “almost” comments, but nothing beyond that. To find a publisher, you really need an agent, and getting an agent is just as difficult as finding a publisher. I also found that the whole system seemed to be a closed loop of people-who-knew-people and I didn’t know anyone in that loop. As I watched e-publishing rise, I liked the idea of going it alone and not wasting a bunch of time trying to convince someone that my book was viable. I wouldn’t have the support of a publisher, but I wouldn’t have anyone telling me to rewrite the story with a different plot either. I published my collection of short stories, Tales of the Sword, as a trial run in e-publishing. Once I saw how easy it was, I set out to work on The Fly Guild as a full-length novel. I like the control factor, but the self-marketing can be tiring, especially for someone that isn’t all that comfortable talking about himself. I’ve tried anything I can find. I have a website where I offer writing and publishing tips on my blog. I’ve sent out press releases to local newspapers. I’ve participated in online forums. I’ve done some basic advertising on relevant sites. I’ve even got a sticker on my car with a QR code on it that people can scan with a smart phone and go directly to my site. You have to be very, very careful when posting on forums. You don’t want to be blatantly advertising your book and making everyone mad. I think the best way is to answer questions or recommend other books and leave mention of your book in a signature or something like that. Marketing is hard work and can be discouraging. You can do everything right and work really hard and not see any correlating sales increase. You just have to keep plugging away and believe that you will break through. Don’t underestimate how much time and money you are going to have to spend on marketing. If you think you are going to write a book, put it on Amazon and start counting your royalty money, you are sadly mistaken. There are something like one million titles on Amazon, and everyone is after much of the same audience. You have to find a way to stand out and that takes an investment of time and money. I’m treating my book writing like a small business. I’m operating at a loss right now in the hopes that it will pay off long term. The sales aren’t anywhere near covering the expenses I have in advertising and other promotions, but you can’t just open a store and expect people to show up. You have to get them to look around and realize you are there. At a later date, maybe they buy something. That’s the approach I’m taking with my writing. With online advertising, you can find some pretty reasonable deals. The results are fairly poor, but you have to do something to build recognition. All it might take is one sale to the right person that makes the book go viral. Right now, I’m working on the sequel to The Fly Guild, called The Deepening Reach. I’m about 75 percent done and expect to finish in the first quarter of 2012. And when that’s done, I’ve got some basic ideas for the third book. The series will go on for some time. 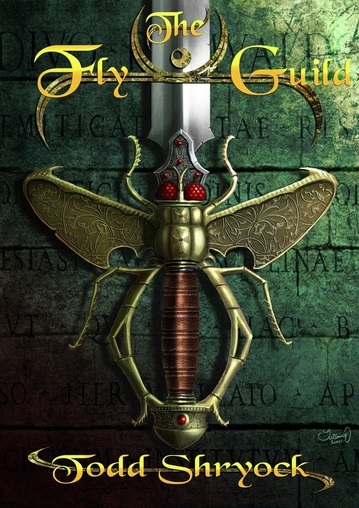 www.theflyguild.com is my home page that overviews both The Fly Guild and Tales of the Sword, plus has my blog where I update progress on The Deepening Reach and offer writing and publishing tips.